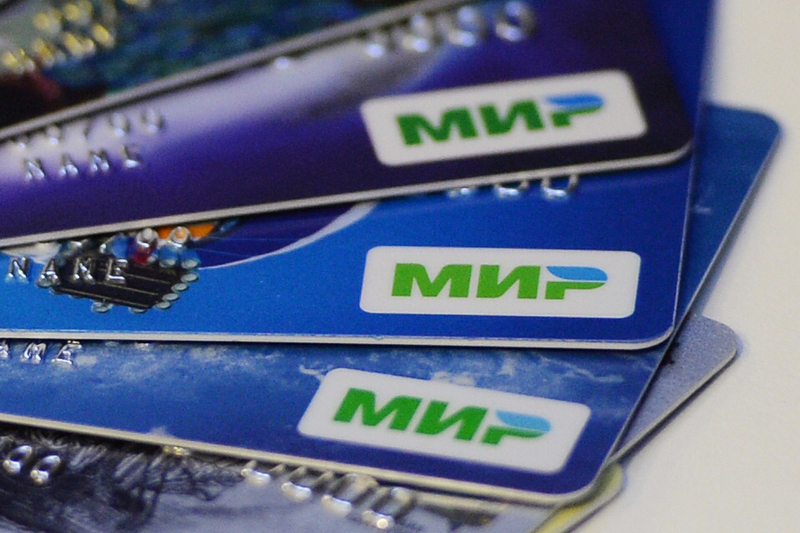 Sberbank will start full-scale issue of Mir cards at its branches in October 2016. Russia’s top lender Sberbank has launched servicing of Mir cards at cash machines and retail and service points as part of its integration with the Mir national payment system, the bank said in a press release on Sept. 20. "There are currently more than 80,000 POS terminals that accept Mir cards at retail and service points, and this number continues to grow every day. Sberbank has also begun rolling out updated software that supports Mir cards to its self-service devices. The transition to servicing of Mir cards at all Sberbank self-service devices will be completed in October 2016," Director of Acquiring at Sberbank Svetlana Kirsanova was quoted as saying. The bank plans to provide 100 percent acceptance of Mir cards at its payment infrastructure by early 2017, Kirsanova said. "Sberbank is one of the key partners of the National Payment Card System (NPCS) and is the biggest bank card issuer and provider of acquiring services in Russia. The start of the launch of infrastructure this year is a scheduled and significant step towards developing the national payment system for Mir cards," Commercial Director of NPCS Sergey Radchenko said. Sberbank will start full-scale issue of Mir cards at its branches in October 2016, the report said. Russia’s biggest bank joined the national payment system Mir in December 2015. According to the Bank of Russia, 30 million Mir national payment cards are planned to be issued in 2016.